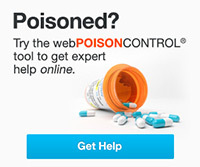 Each year, America’s 55 poison centers receive more than 2 million exposure calls. Most of these are accidental and preventable which is why public education is so important. If you will be teaching others about poison prevention, please take our FREE online training course! Once you complete all of the training modules, you will have access to our Resource Center which contains lesson plans for various ages and helpful handouts. Educators play a key role in providing information to parents, grandparents, caretakers, and others to prevent or minimize accidental injury in children. Check out the activity sheets and games below for fun ways to learn about poison prevention! Also, visit our Child Safety Tips page for more safety information. This section provides information specific to teaching children. It includes poison prevention programs, games, and activity sheets that may be used. All of the following documents are in PDF format. Over-The-Counter (OTC) Medicine Literacy Program: A critical approach to educating fifth and sixth grade students about medication safety. Find more information and resources on the OTC website. Older adults have increased risk of food poisoning, medication error, drug interactions, and adverse effects. These all can be reduced through education so please go to our Senior Safety Tips page to learn more. You can also visit our Materials page to download resources from the Senior Information section.